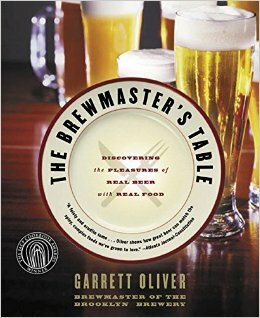 I don't only drink beer and write about beer; I also read about beer - A LOT! The idea for this post came to me on holidays, basically it's going to be a quick list of beer related articles/books that I've enjoyed since the last post. If you, like me, have a thirst for beer knowledge; The Thirst is where to find it! I'm forever looking for new beer articles and have loved a few similar posts on different blogs to what I'm trying to create here. Hopefully you all enjoy it, please send me interesting beer articles if you find them! I'm going to kick it off with a piece I was involved in, and that I also mentioned the other day. These two pieces explored the relationship between social media and the craft beer. It's a really interesting read and one that I was more than happy to be apart of. It canvasses a wide variety of industry people; the consumer (yours truly), the retailer (Ben from Carwyn), the facilitator (Tim from Untappd) and brewers (Mazen from Hawkers & Ryan from Little Bang). If you're an Untappd user this is a piece worth checking out. If you are just going to read one article, make it this one. When I first thought about this blog post I spent over an hour looking for this piece. I love everything about it; the writing is complimented by excellent photos and a video which primarily interviews Oliver Dedeycker, the 4th generation Master Brewer of Dupont, and has great shots of the meld of old and new brewing techniques, which help to produce one of the most famous beers in the world. I loved this piece because it taught me a new piece of beer history. I'd never heard of the Assize of Ale before. and I'm guessing very few of you are across it either. The piece above focuses more on the modern iteration - however I found the history far more interesting. Basically this was the first regulatory system for the weight (size), quality and price of beer. A interesting look at the American craft beer scene and in particular the trademark issues that are becoming more and more common. For an example you need to simply look in our own back yard at the recent Stone & Wood vs Thunder Road dispute over the term Pacific Ale. If you guys weren't already aware; I love hops! Hops are cool on a number of levels, one of my favourite's being that many varieties able to grow over half a metre in height a week! Hops are, almost always, the part of your beer that imparts the most bitterness, aroma and - depending on the style - flavour. Make sure you watch the video's as well as reading the article, it'll give you a fascinating insight into a hop production facility; Elk Mountain Farm. Depending on the frequency of these posts; I'll try and put in a beer book in each of these posts. I read this book on the plane up to Cairns for my recent holiday. Garrett Oliver's books are always a great read and this one was no exception. Some of his suggested food pairings had my mouth watering, so much so that I head straight to the supermarket and Dan's and bought our first two meals - straight from his book. It's an old book (published 2003), but it's a wonderful resource. There we have it guys, I hope you like the first edition of The Thirst. I think this will be a semi-regular post so please give me any feedback that you have about it. I'd love to see some articles that you guys find interesting - so please hit me up; gus.norris7@gmail.com or on the Beer O'Clock Instagram page. Hopefully I will knock over my marketing assignment tomorrow and then I will be able to get some content out for you!